Tasting Note: Taste the roughness of the Scottish Highlands, taste the beauty of the Kentucky forests, feel like you're on the edge of a storm-battered Irish cliff: immerse yourself in the exciting world of whiskey flavors with this hand-decorated glass. 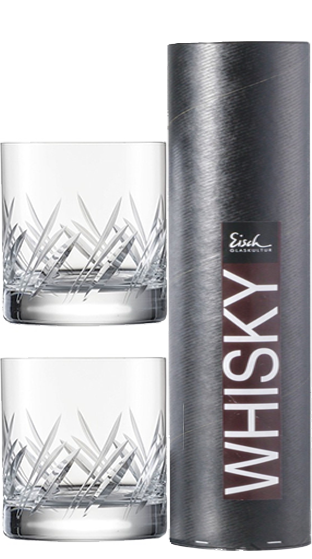 Eisch has designed a special whiskey collection. Hand-cut and hand-polished patterns that create interesting matt-gloss effects. So nothing stands in the way of enjoying a fine whiskey.